A significant number of people who want straight teeth never go through with treatment. The reason behind is , they just don’t like the way braces look. There are so many tips that people use to apply and feel good with braces , such as don’t let braces to change your self-image. Braces are there to do their work. After having such advises, if you are still unable to motivate yourself to have traditional braces, then don’t worry. The era in which you are living offers variety of solutions in this regard. Ceramic as well as invisible braces are solutions, you can choose from. They are considered optimal choices for people who don’t want to wear metal braces. Ceramic as well as invisible braces does provide the aesthetic alternative to metal braces that many patients are seeking. Both types have created a huge demand because of the fact that teeth can now be straightened without wires and brackets glued to the teeth. But it really depends on difficulty of your case, sometimes it is more difficult for plastic shells to create some of the forces required for complex tooth movements. As discussed above, it depends on your case that you can have ceramic or invisible braces or not. Your orthodontist can tell you but if you can, then the next question is, ceramic or invisible, which is better? While deciding for one of them, following information may help you. 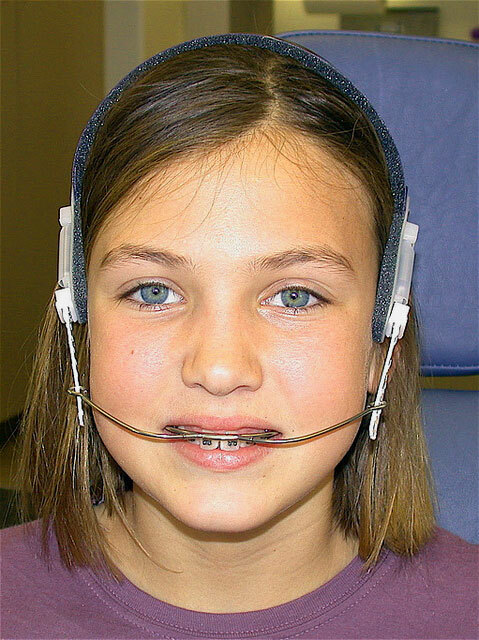 Clear or ceramic braces, made up of clear hard plastic or ceramics. They are made of composite materials with varying levels of transparency. One of the most preferred dental braces type, according to orthodontists. They blend so good with the teeth color that no one can easily judge them as dental braces. In addition, two shades of clear braces are available, i.e. crystal transparency and a pearl-white shade. In terms of properties and material, Ceramic braces are similar to clear braces. Most preferred choice of adults because they blend in with the color of the teeth and are cosmetically less noticeable than metal, hence less noticeable. Cosmetic appeal is the main edge of ceramic braces. The ceramic brackets do not stain. Due to its material, i.e. ceramic which is normally used in dinnerware and resemble glass, so they are not strong and absorbent to shock or force. So they can break easily. They are far more expensive than metal braces, as orthodontist charge more for many reasons such as they observe extra care while applying and often take more visits. Invisible braces are there in three different versions i.e. Clear trays(Invisalign), lingual braces, and simple wire. The most popular type of invisible braces is clear trays, as they are removable as well as transparent. The invisalign braces consist of clear molds that act as aligners and make your teeth straight. At first your orthodontist records impressions of your teeth, like metal braces, and then sends them to an invisalign lab where your individual molds prepares. In Lab, it takes usually two weeks and with the help of digital technology, your clear liners or retainers are there, ready to use. People can hardly notice that you have braces because they are clear. In case of clear braces, you have to replace one set of Invisalign aligners usually after about 3 weeks. Number of sets you need depends on your problem as well as your orthodontist’s preference. Cosmetic value is an obvious advantage in using Invisalign braces. You can laugh and talk confidently, having no worries in your head that the person to whom you are talking actually not observing your braces but listing to your words. You are very comfortable while eating, because these type of dental braces are removable. So you can eat what you want without having any trouble and worry of bracket breakage. Clinically it has reported that with Invisalign braces, you have very low chances of gum problems that often result with metal braces over time including tooth decay. There is no cleaning problem with these braces like metal braces because you can remove them and can do brush and floss easily. Invisalign are removable, this can be taken as advantage as well as disadvantage of Invisalign. It will be turn in to disadvantage when patients are not wearing them as per instructions. In this way, correction can be disrupted and depends upon the patient’s behavior. Prescribed timings are 20–22 hours each day, removing them only during eating or brushing. They are already very expensive and become more when patient fail to wear brace in the prescribed length of time. As a result, the next brace in the series won’t fit and a new set will be needed, increment the cost. Since patient remove the braces for 2 or 3 times daily, there is more risk of damage and lost if not kept in the recommended containers. Being made of clear plastic, they are difficult to locate if lost.